Attention HR Managers: you can now streamline the hiring process with our latest innovation, Payroll Integration. Our soon-to-be released Payroll Integration tool empowers you to control the entire recruitment process from posting jobs to payroll all on one platform. Simplify the job of hiring new employees, onboarding, payroll and more with Harri's Complete Solution. Keep your eye out on this great feature that will be launching very soon. If you are interested in Payroll Integration and/or Harri's Total Talent Solution features, connect with our VP of Sales at greg@harri.com. Restaurants continued to add jobs at a steady pace in February, and a sizable proportion of these job openings are being filled by either new entrants to the workforce or people being promoted from other positions within the same business, according to the NRA’s Chief Economist Bruce Grindy. His Economist’s Notebook commentary and analysis appears regularly on Restaurant.org and Restaurant TrendMapper. The national labor market continued to expand at a moderate pace in February, according to figures released today by the Bureau of Labor Statistics. The economy added a net 242,000 jobs on a seasonally-adjusted basis in February, which is generally on par with the average gains during the last six months. The restaurant industry remains one of the steadiest contributors to private-sector growth, with the 40,200 net new jobs added in February representing the ninth consecutive month with gains of at least 20,000 positions. While the industry added middle class jobs at a rate four times stronger than the overall economy in recent years, it also maintained its role as the training ground for America’s workforce. For new entrants to the labor force, the restaurant industry is one of the most common landing spots. In fact, roughly one-third of all U.S. adults say their first employment experience was in the restaurant and foodservice industry. According to new NRA research that appears in the 2016 Restaurant Industry Forecast, restaurant operators reported that roughly one in five of their job openings in 2015 were filled by people for whom this was the first regular job that they have ever had. 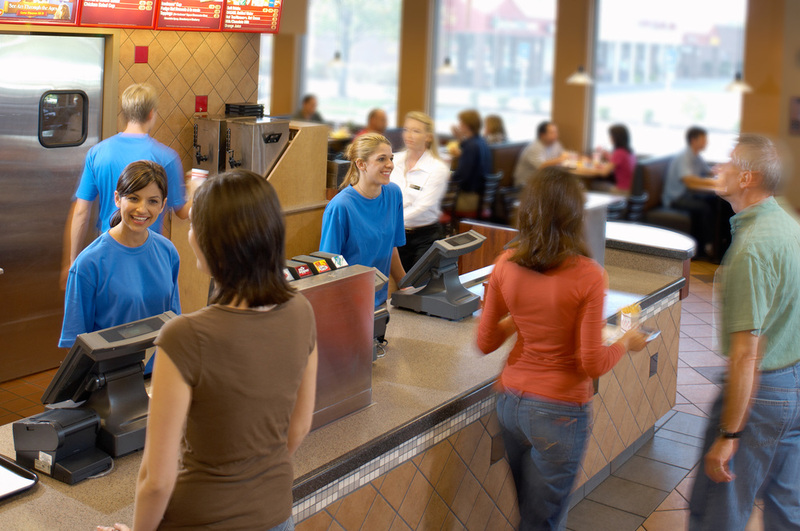 The limited-service segment was the most likely to hire new workers, with 30 percent of quickservice openings and 25 percent of fast-casual job openings going to people getting their first work experience. Approximately one in six jobs at family-dining and casual-dining restaurants went to first-time workers in 2015, while eight percent of openings in the fine-dining segment were filled by new entrants to the workforce. In addition to providing employment opportunities for first-time workers, many jobs are also filled by people advancing from other positions within a restaurant, typically because of the on-the-job training and knowledge of the business that they obtain from those roles. In 2015, approximately one in five job openings were filled by people who were promoted from other jobs within the same restaurant business. This trend was strikingly similar across each of the five major segments, with the fast-casual segment only slightly ahead of the others at 23 percent. All told, roughly one-half of limited-service restaurant job openings in 2015 were filled by either new entrants to the workforce or people being promoted from other positions within the same restaurant.